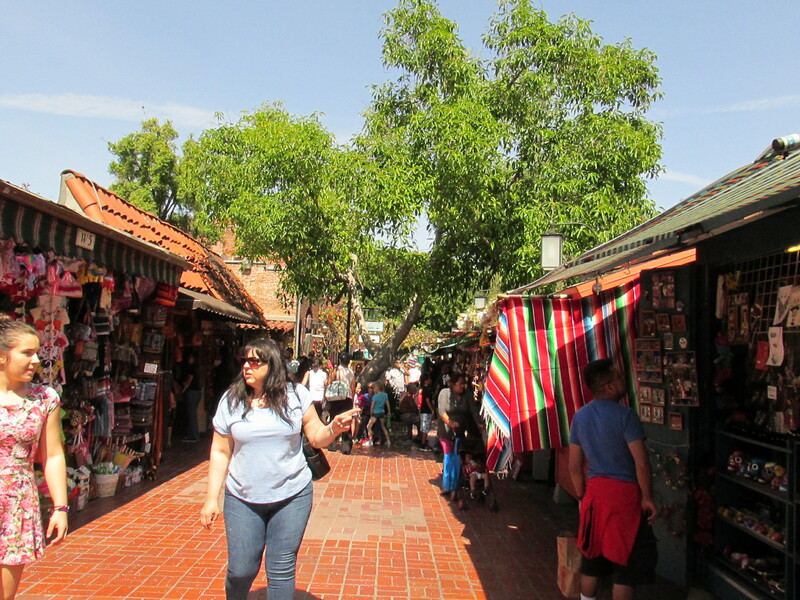 It was a mild and sunny day when I embarked on a day trip to one of the oldest surviving venues and the ‘birthplace’ of Los Angeles, the Olvera Street. Continuing on my cultural and artistic treasure hunt this has been a trip that’s long overdue in my thirty years living in California. Los Angeles was founded in 1781 by Spanish pobladores (settlers), on a site southeast of today’s Olvera Street near the Los Angeles River. They consisted of 11 families — 44 men, women, and children — and were accompanied by a few Spanish soldiers. They came from nearby Mission San Gabriel Arcángel to establish a secular pueblo on the banks of the Porciúncula River at the Indian village of Yang-na. The new town was named El Pueblo de Nuestra Señora Reina de los Ángeles. Priests from San Gabriel established an asistencia (a sub-mission), the Nuestra Señora Reina de los Angeles Asistencia, to tend to their religious needs. The pueblo eventually built its own parish church, known today as the “Old Plaza Church.” Unpredictable flooding forced the settlers to abandon the original site and move to higher ground in the early 1800s. Spanish colonial rule, which began with territorial claims to the area as early as the 1500s and saw actual settlement from 1769, lasted until Mexican independence in 1821. 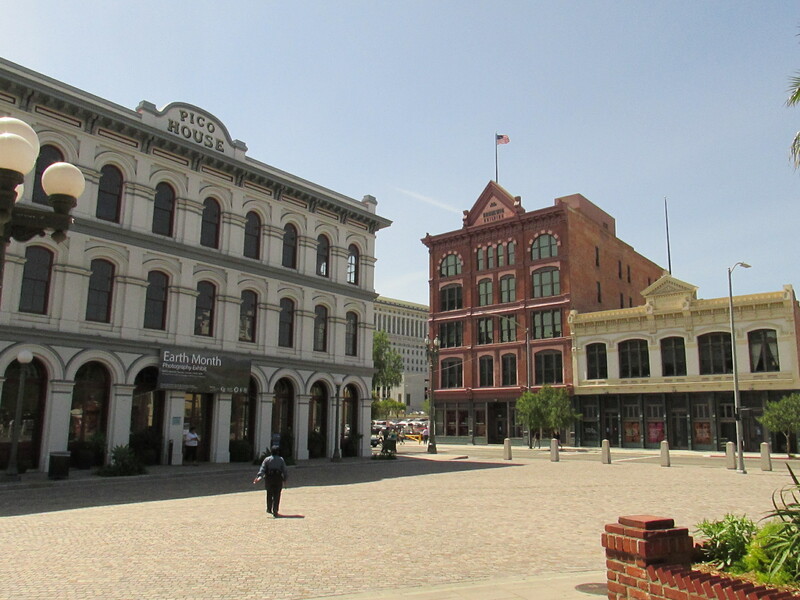 This period saw Los Angeles’s first streets and adobe buildings. 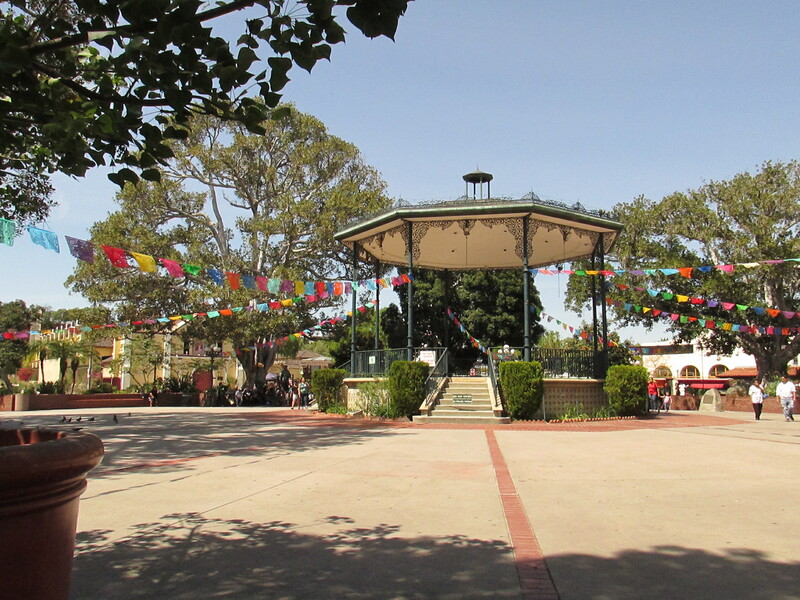 During Mexican rule, which lasted just twenty-six years, the Plaza was the heart of a vibrant ethnic Californio community life in Los Angeles and was the center of an economy based upon farming in the former flood plain, supplemented with cattle ranching. After the Mexican War, the Plaza remained the center of town. A small alley branching off of the Plaza—Wine Street—had its name changed by City Council ordinance in 1877 to Olvera Street to honor Augustín Olvera, the first Superior Court Judge of Los Angeles County, who owned an adobe house nearby. (The house no longer exists.) In the 1880s, the town grew rapidly due to the influx of settlers from Southern States. These joined the Spaniards and earlier English-speaking settlers who had become voting citizens before 1846. As the town grew outward, the historic original area of settlement came to be neglected, and began to serve as a neighborhood for new immigrants, especially Mexicans and Sicilians. This included a Chinese community which had to relocate to the present nearby Chinatown to make way for Union Station. During the 1920s, the pace of Mexican immigration into the state increased rapidly. California was a primary destination with Los Angeles being a common choice. 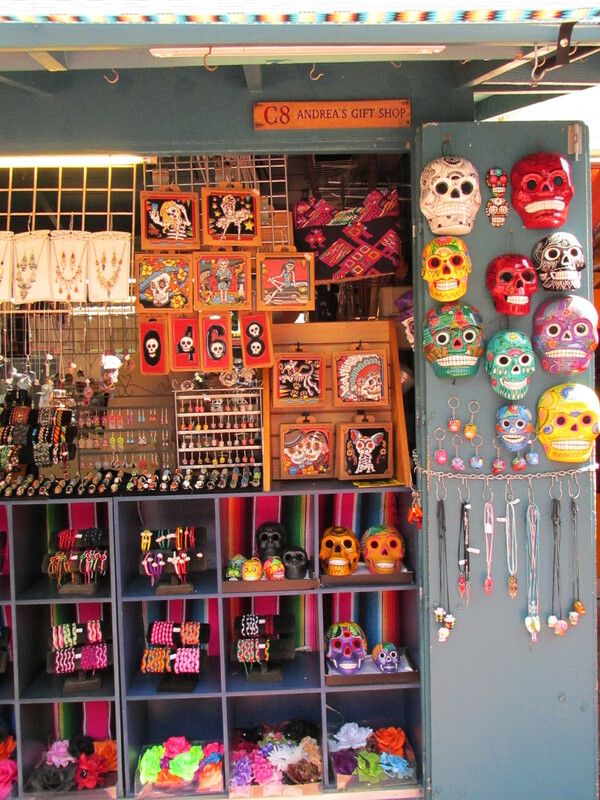 As a part of a movement that sought to preserve what was then seen as California’s “authentic” heritage, Christine Sterling began a public campaign to renovate Francisco Avila Adobe, which evolved into a campaign to remake Olvera street into a modern Mexican-style market place. My first stop led me to the gate of this old church. There was a mass just taking place, for the Good Friday, of course. the interior of the church. had to be very quiet here. this is the actual main enrance. but it was closed off. as you can see a huge crowd was just rolling in. the outer wall of the church with a beautiful well preserved mural of the namesake Madonna. A park stands in the center of the plaza where they occasionally hold concerts and festivities with true Spanish flair. 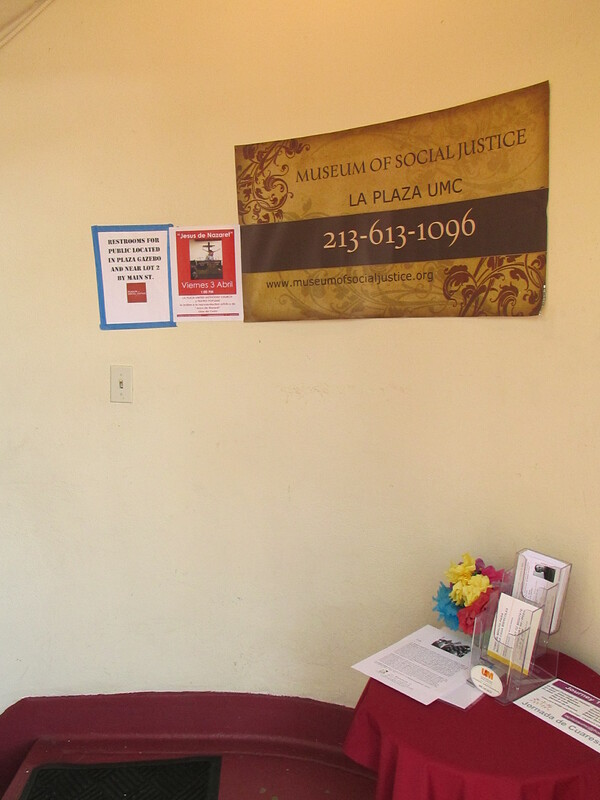 A museum dedicated to raising social awareness for Hispanic immigrants held at the basement of a church. Sorry no photos allowed past this point. The classic Dia De Los Muerto masks. These and Las Lucadores masks were not so scarce. 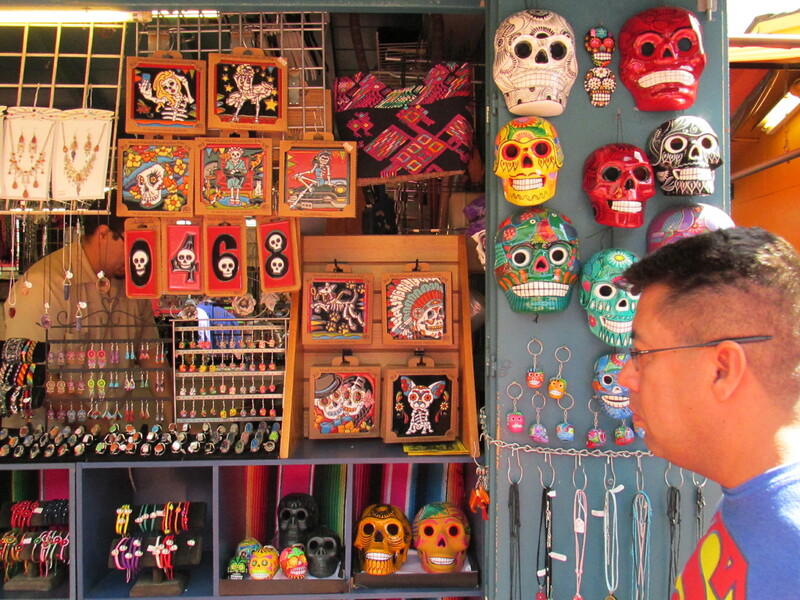 Vendors like these are aplenty along the street promenade as well as numerous cafes and restaurants serving authentic Mexican cuisines. The Sepulveda House. 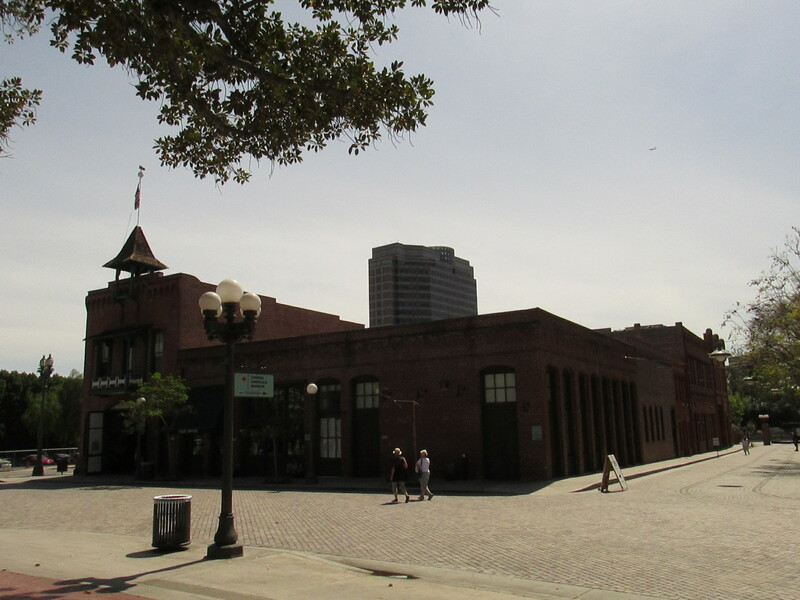 One of the notable historic buidings of Olvera Street. A panoramic view of the bedroom that the madam of Sepulveda House stayed in all her life. One of the noted aspect of Olvera Street is the America Tropical mural painted in 1932 by Mexican artist David Siqueiros. It rests on the top walls of the Plaza Arts Center but due to its controversy it had been covered up four years later and stayed that way until the Getty Conservation Institute began efforts to restore it. An American Tropical Interpretation Center provides the background history of the mural as well as chronology of the artist’s life and career. A replica of the America Tropical mural when it was first erected, complete with techno-enhanced presentation on its history. The right section. It was a big piece. This is the actual mural after all the whitewashes has unjustly kept it hidden for many years. It can be viewed on the roof level of the America Tropical Center. The other half of the mural. Sometimes you may find a local artist working on his stuff in an Open Studio day on the same level as where the America Tropical mural stands. Once finished I continued down the trek through the busy promenade, going all the way to the end to the street and then coming back through the other side. 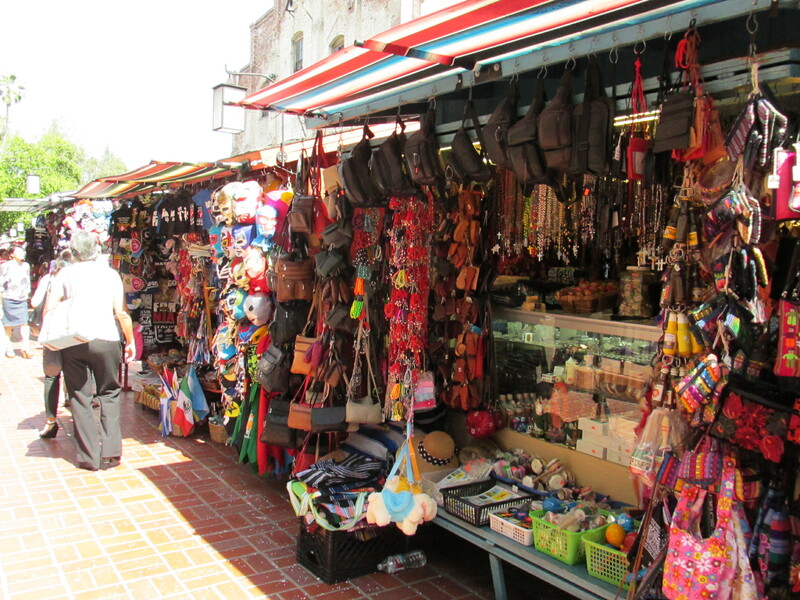 Some of these vendors have been passed down generations and around for as long as the plaza has stood. A mural depicting the Blessing of the Animals, a Spanish tradition during the Easter season. It’s part of the historic Biscailuz Building. The kitchen where they make all the delicious authentic Mexican dishes. Thats how you make tortillas. You’ll find this cross at one end of the plaza. A monument dedicated to L.A.s first Hispanic entertainer, Antonio Aguilar. This was the original ticketing hall but it’s currently closed off. The hallway leading to the boarding base. Note the nice comfy chairs on both sides, sorry only ticketed passengers can sit there. So that was my day on the piece of Los Angeles history. There are plenty more historic monuments hidden in the midst of this fast moving ever changing city of California, but with little patience I’ll be sure to find them all.